On February 24, 1987, something unusual happened as astronomers Oscar Dhalde and Ian Shelton observed an unbelievable picture sitting on the top of a Chilean mountain: a new star in the night sky. That is something not happened frequently. New video released by NASA shows a revolutionary astronomical moment in a whole new light. 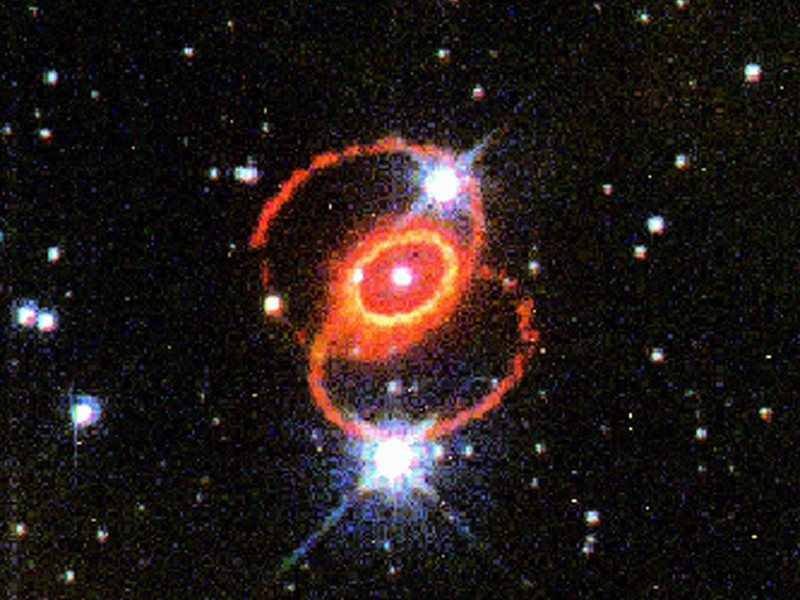 Most astronomers agree the explosion occurred because the star's core ran low on high-energy fuel, while some believe another star merged with the blue supergiant to generate the blast. In that moment, the fusion-powered core of the star began to fade. The cause could be any one of both as the star collapsed under its own gravity, exploded, created the power of 100 million suns in the process. We now call the object Supernova 1987A, orSN 1987A. This animation gives you some hint about that where in the night sky SN 1987A is locatThe remnants lurk inside the Large Magellanic Cloud, a dwarf galaxy that trails the Milky Way some 168,000 light-years from Earth.